IM KING is proud to announce it will release its limited edition IM KING x FLUD watches exclusively via 80spurple.com on December 4th, 2009. The watch features three interchangeable straps in red, black and mint, each with the Oscar logo printed on it. 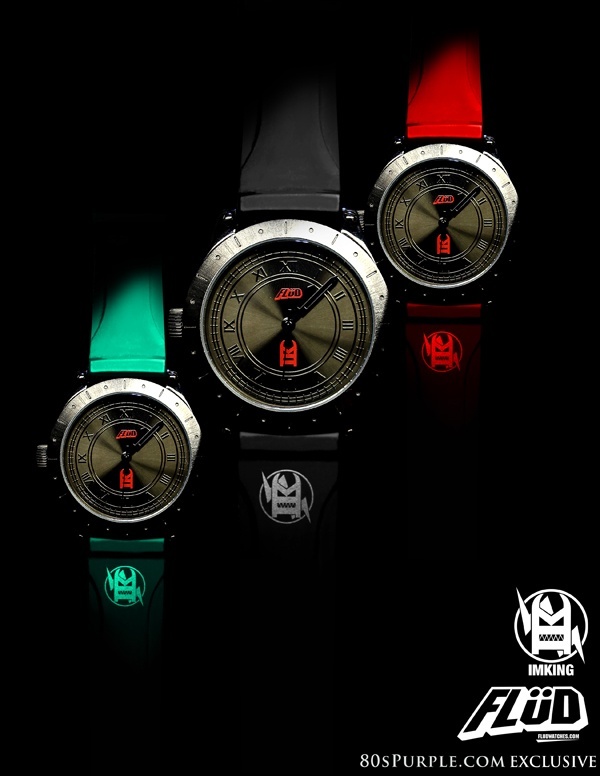 Other features include a steel body construction, gunmetal bezel, a 48mm all-black face, with both logos printed in red and Roman numerals on the face. The release is limited 50 pieces, so be sure and log onto 80spurple.com first thing Friday to get yours.